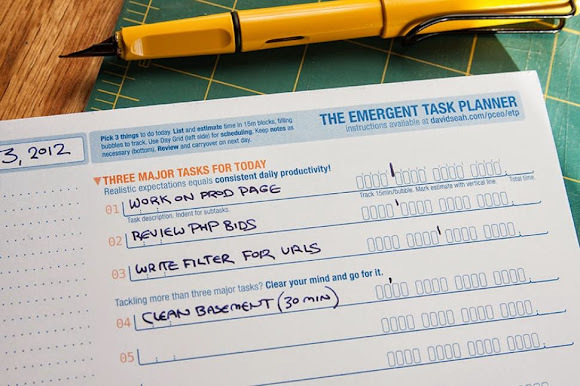 The Emergent Task Planner (ETP) is a paper-based daily planning sheet designed to keep you focused in the face of chaos. Start the day by declaring what you want to get done, and the ETP helps you stick to the plan by with task, time, and scheduling support. Besides the cleverly designed form, I love the philosophy that suggests that shooting for 3 accomplishments a day is a big deal. Better to focus on getting three (or even one!) thing done, then to have a massive TODO list that you never make a dent in. 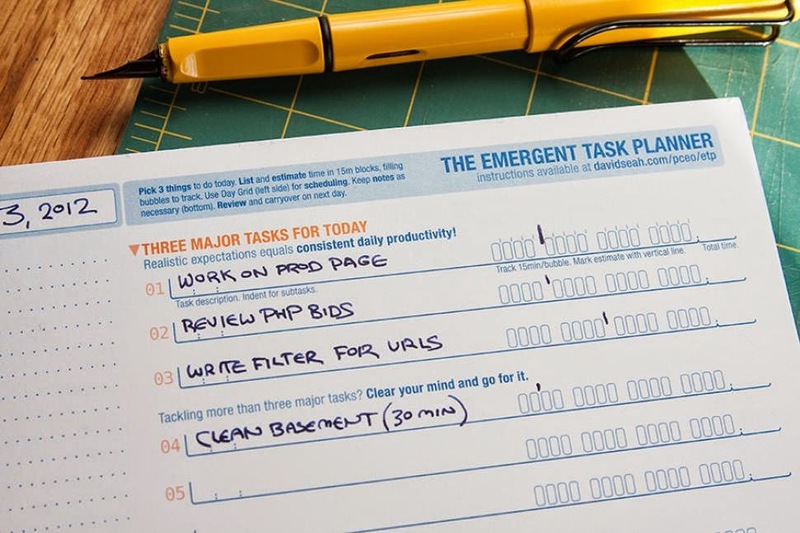 The whole system is open source which means you can buy ready made notebooks, or just download and print the form yourself. Hack #2: Recycling old Topo Maps for use as DIY Waterproof Notebooks. The title of the post pretty much says it all. While obvious in hindsight, I'd never thought about re-purposing high quality maps that are just sitting on my bookshelf into something of value. The instructions provided are straightforward, so give it a try. 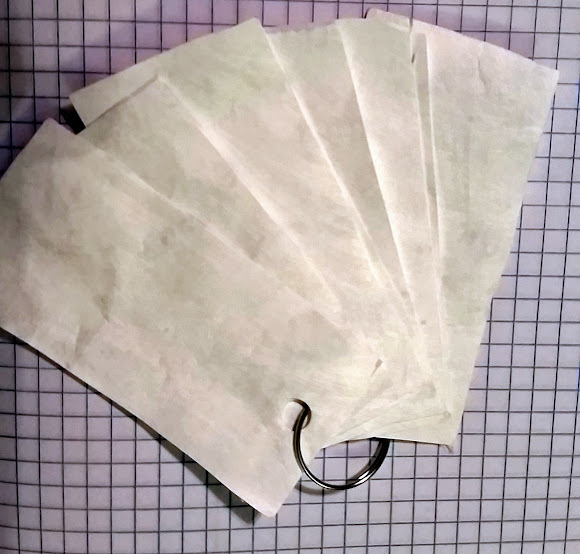 Hack #3: Turn a Tyvek Mailer into a mini-notepad. While pondering the above hack I realized I didn't have a Topo Map handy to experiment on. But, I did have half a Tyvek Mailer on my desk. I wondered if that would as a substitute. 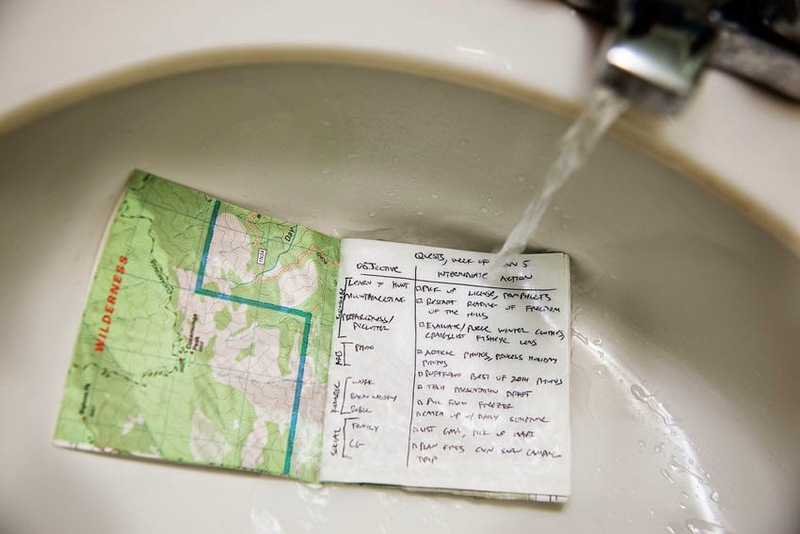 Tyvek is waterproof and super durable, so that would definitely make for an interesting notepad. I looked around for a form I could use to shape the pages and noticed a key tag from a recent trip to the car dealer. That may seem like an absurd size for a notebook, but that's only because you're not thinking like a Japanese student. In Japan they sell blank word pads, which apparently students use to learn vocabulary. OK, that's not going to win me any Etsy design contests. But, it should make for a super slim, super durable notepad. And adding more 'pages' just means spending another few minutes trimming the Tyvek envelop that's still sitting on my desk. For another Tyvek Mailer user, check out the recent suggestion by Improvised Life. Update: Oooh, my little Tyvek notepad pairs well with a Sharpie Mini. Well that's a nice bonus.